Love is in the air! With weddings being the trending topic, Oakland has lots of options for your special day. The Town has a number of beautiful venues from indoor to outdoor, classic to modern. Finding a spot to get hitched is a non-issue here! Full list of Private Banquet Rooms, and Special Event Space facilities. This picturesque spot on the shores of Lake Merritt has been around since 1929, and you can feel the history when you&apos;re inside. The Mural Lounge and main dining rooms two story high ceilings will transport you to what feels like a fairy-tale castle. With room for up to 200 guests, there will be plenty of space to chicken dance the night away. This hotel is located right along the estuary in Jack London Square with views of the Bay and San Francisco. The Joie de Vivre property will work with you to make sure you have the easiest and most stress-free experience. Your guests will also have easy walking access to all the shops and restaurants in Jack London Square. A charming Victorian manor with Lake Merritt in its’ backyard, the Camron-Stanford House has been a part of Oakland history since 1876. You are invited to host your special day here with an intimate meal the dining room or a beautiful wedding reception outdoors in the garden. 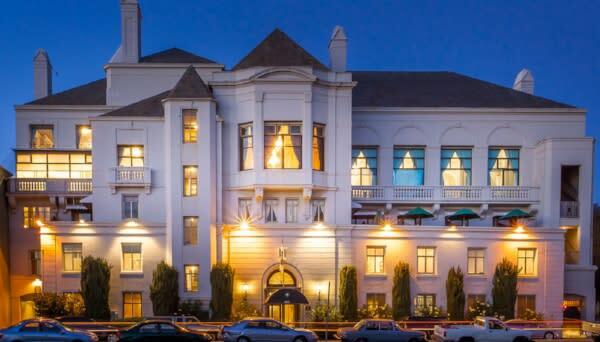 Sitting high in the Oakland/Berkeley Hills since 1915, this landmark property defines historic elegance with over 250 rooms, a full service space, salon, tennis courts, fitness center, and restaurant. The scenic views, custom packages, and over a dozen spaces to choose from you can&apos;t go wrong at the Claremont. The Fox first opened in 1928 and the art deco design is still stunning today after a refurbishment in the 2000s. The theater is now also set up to hold a 2,000-person reception so you can definitely invite your mom&apos;s third cousin. Are you looking for an intimate space to host your wedding or rehearsal dinner? alaMar is located in Uptown Oakland and can accommodate up to 100 guests. 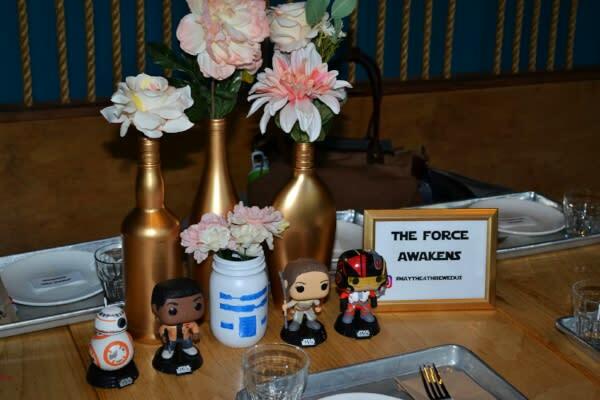 The dining room, bar and patio are completely customizable and can be transformed into whatever wedding theme you choose, even Star Wars: May the 4th Be Wed Us. Your love for astronomy and obsession over the Cosmos and Neptunes will not be overshadowed by your special day, but embraced! Witness this state-of-the-art science center transform into an out of this world destination. Surrounded by 13 acres of majestic redwoods in the Oakland Hills, Chabot Space & Science Center is a unique and stunning location. This 10-acre theme park on the shores of Lake Merritt is the perfect place for a true storybook wedding. Can you say "happily ever after?" Plan your fairytale wedding here! This black box theater and performing arts center in Jack London Square is not your typical wedding venue but it will rock your world. It is equipped with a full theatrical lighting system, a state of the art sound reinforcement and a full bar. You might have overlooked the OMCA because... well it is a museum. But, nestled among flowering pear trees and extensive gardens, the Oakland Museum of California is the perfect setting for your wedding. With stunning views of Lake Merritt and the rising moon, or in the modern and sleek dining area of the Blue Oak cafe, where floor to ceiling windows overlook the koi pond. The estate has a number of different options for your big day from outdoor weddings on a mansion lawn or a serene ceremony near one of two ponds. You&apos;ll get your own client manager and event concierge who will ensure everything goes off without a hitch. 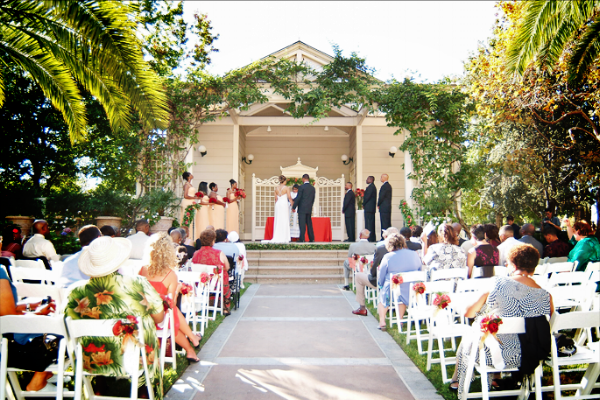 Looking for a place for that big beautiful wedding you&apos;ve always dreamed of? The vintage architecture, immaculate landscaping, Parisian fountain and guest space for up to 500 at Preservation Park is for you.